Marin’s continued hot housing market reflects the incredibly strong full-employment economy that the Bay Area and the U.S. are experiencing. Not only is unemployment in Marin at just 4.2%, but the number of employees who are involuntarily part-time is falling and older workers are remaining in the work force longer. The impact of this very healthy jobs data is twofold: continued strong demand for Marin housing; and fewer older workers retiring and moving out of the area. In fact, the number of new single family homes listed for sale year-to-date is 18.8% lower than in 2016 and this April had 39.5% fewer homes come on the market for sale than last April. This combination of strong demand and fewer homes coming on the market drove the median sold price for single family homes to an all time high of $1,550,000 in April, 11.5% higher than April, 2016. 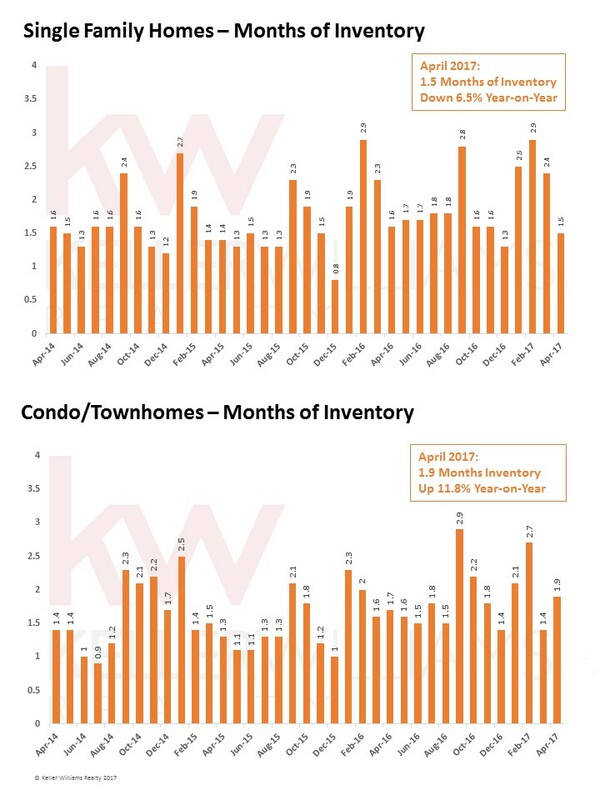 Inventory is at just 1.5 month, its lowest level in 18 months. 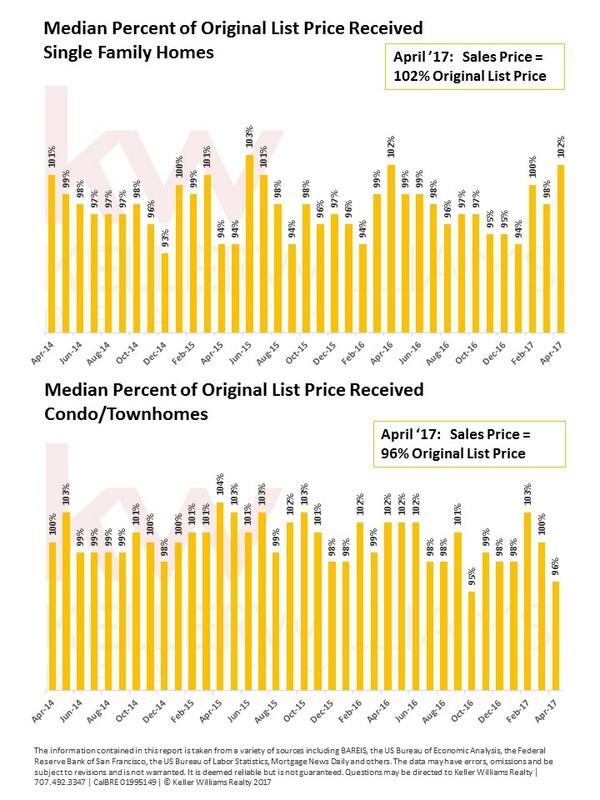 The condominium market has also had a sharp drop off in new listings this year. 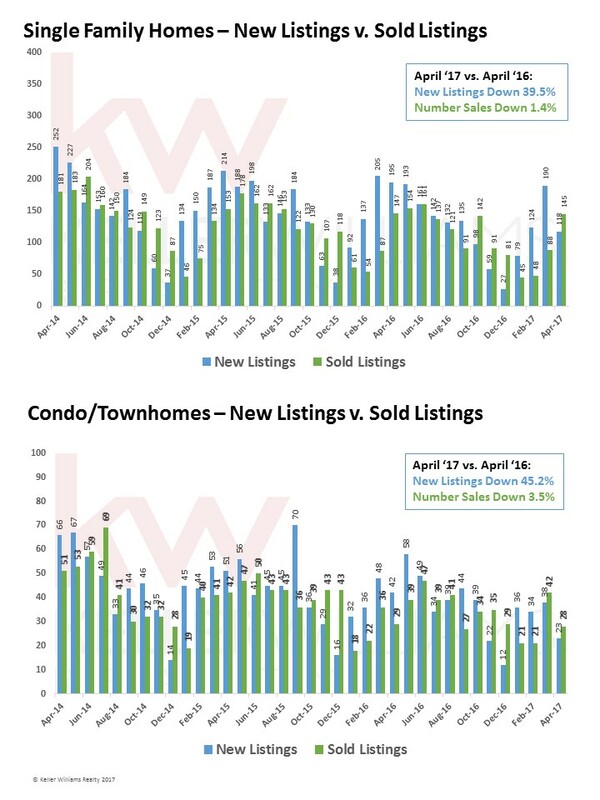 There are 17.1% fewer new listings in 2017 than in 2016, and this April had 45% fewer new listings than last April. Inventory stands at just 1.9 month. Condo prices have bounced around a bit, up one month and down the next. 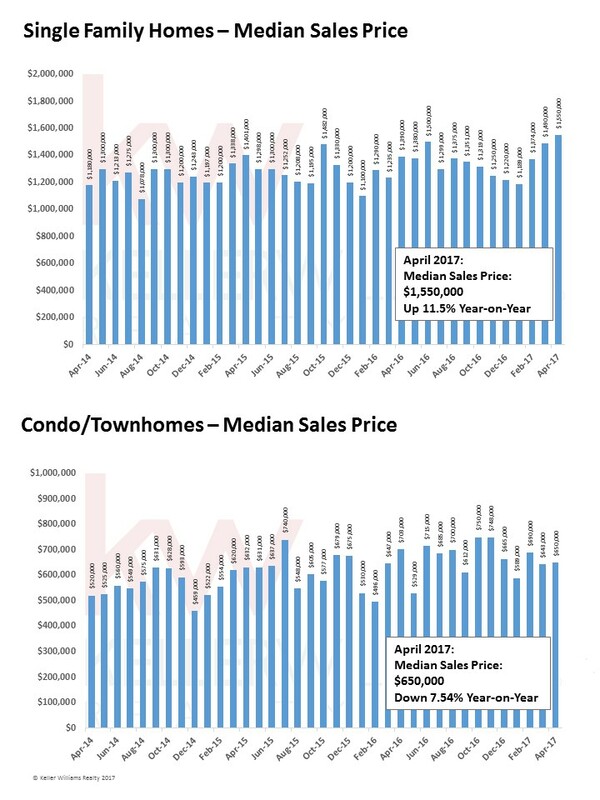 April’s median sold price, $650,000, is down 7.5% from April, 2016.